The road to perfecting the art of watchmaking is a long one. The journey is paved with classic timepieces that continue to inspire the manufacturing of the remarkable watches we see today. Of course, these classic watches used to be considered ahead of their time. Here are some upstanding watches from the past; their technologically advanced features and unique aesthetics rightfully deem them as classics. The Rolex GMT Master 1675 is one of the most sought-after watches. Collectors have endearingly named the watch “Pepsi.” The classic Rolex, which was in production from 1959 to 1980, earned its nickname because of its use of the signature red and blue colours of the Pepsi brand on its beautiful two-tone metal bezel. The “Pepsi” features a 38-mm case and is capable of keeping the time of two locations. Those who dive deep also need to be able to tell time. Omega understood this demand of deep sea divers and thus created the Omega Seamaster Professional 600. Nicknamed “Plorof” after the words “Plongeur Professionnel,” meaning professional divers, the Seamaster was built to be a highly reliable watch. Waterproof for up to 600 metres, the watch was only used by the top divers of the 1970s due to its high cost. The Seamaster also includes two outstanding features: the locking mechanism on the crown and the red button that unlocks the Bezel. 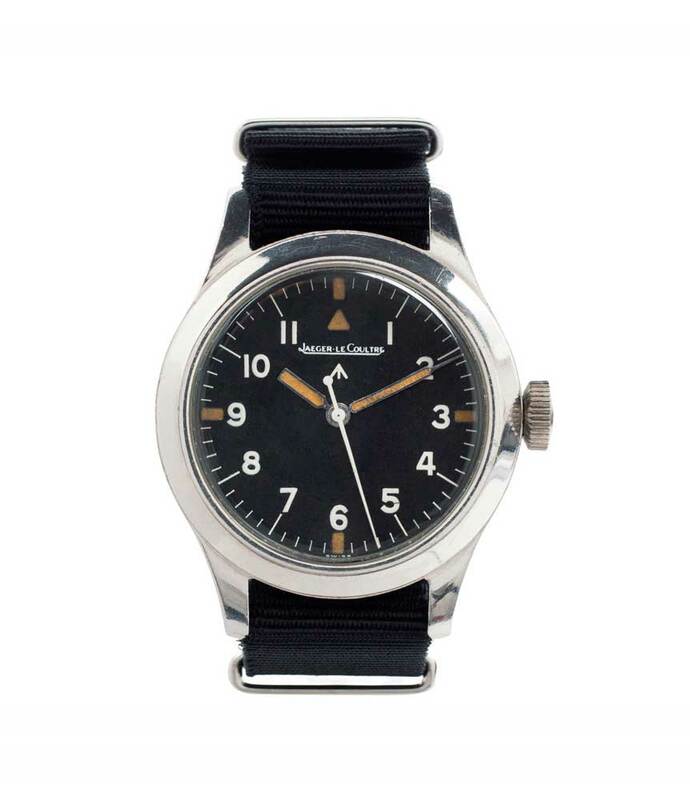 If you were a navigator in the Australian Air Force during the 1950s, you most likely had a Mark XI around your wrist. Originally commissioned by the British Ministry of Defence, the Mark XI by Jaeger-LeCoultre was subjected to strict 6B/346 specifications. Consequently, the timepiece is of the highest quality and may be the most expensive watch ever commissioned by the military. Several classic watches from Heuer have been re-released and have regained the attention of collectors. Models like Monaco and Silverstone have been redesigned and are now back in the spotlight. The Heuer Montreal may not have received the same treatment, but this should not detract from its originality or significance. Released in 1972, the Montreal (reference 110.503) features the Heuer calibre 12 and a striking black dial, which compliments its red hands. It may be a little ironic that the Santos, a watch that has kept Cartier in the spotlight for some time, initially steered away from what we have come to expect from the French manufacturer. Cartier’s decision to embrace this sporty timepiece, now with automatic movement, made the brand the talk of the town among watch enthusiasts. The mix between stainless steel and 18K gold inspired competing manufacturers to create their own versions. Medium model, steel, 18k yellow gold, interchangeable 18k yellow gold & steel and leather straps. Available at Cartier boutiques nationwide. For more information please visit www.cartier.ca or contact 1-855-888-8798. Back in the early 1950s, before Tom Cruise ever felt the need for speed, aviation pilots were held in high regard. Breitling held pilots in high esteem too, and thus was born the Navitimer, one of the most stylish and powerful aviation instruments ever made. To further associate the brand with pilots, Breitling even put the official Aircraft Owners and Pilots Association (AOPA) logo on the dial. The Navitimer features a Venus 178 movement and a slide rule bezel designed to solve logarithmic calculations on the go. Breitling watches are still the go-to timepiece for pilots all over the world. Introduced in 1976 by the nearly two-century-old Swiss manufacturer, the Nautilus Reference 3700 timepiece was Patek Philippe's answer to a growing demand for luxury sport watches. It is powered by the same ultra-thin movement found in the Royal Oak watch designed by Audemars Piguet, a piece that originally inspired the creation of high-end sport watches. The Nautilus was first released exclusively in stainless steel. It can now be found in gold and features many more complications, which are all backed by Patek Philippe's seal of quality.